Canada's tourism marketing agency - the promotional arm for one of the country's largest industries - will be forced to scale back some of its international campaigns and could face staffing cuts as the federal government chops 20 per cent of its funding. The Canadian Tourism Commission is facing a $14.2-million reduction to its $72-million annual budget by next year as part of the Conservative government's announced federal budget cuts, forcing the CTC to redirect more of its efforts and dollars to what are viewed as strategic markets for Canada. 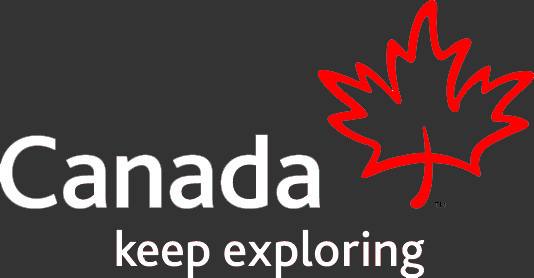 focus resources on markets of strategic importance to Canada's tourism industry," says the federal budget. That's bad news for the country's tourism industry, according to Rob Gialloreto, CEO of Tourism Victoria, one of the destination-marketing organizations selling Canada to the world as a vacation spot. "The CTC already withdrew from [marketing in] the Canadian domestic market and last year withdrew from the U.S. in terms of consumer marketing - we continue to see federal funding dwindle," Gialloreto said, noting that puts the crunch on destination-marketing groups like Tourism Victoria to do more with less. "It's not a good picture for us, especially when you look at the rest of the world. There are countries which have come out of nowhere in the last five years, like Turkey, spending tons on tourism marketing and doing a great job of it," he said, adding it's getting tougher to compete globally given shrinking Canadian marketing budgets. "This is significant for Victoria," Gialloreto said. Federal money has been used in the past to help fuel programs for travel media and tour operators to entice new visitors to the Island, he added. "Traditionally, we have been able to partner with Tourism Vancouver, Tourism Whistler, the CTC and Tourism B.C. [on those initiatives]. We hope to make sure those initiatives don't disappear - they are important for us," he said. The Canadian Tourism Commission is currently active in 11 markets around the world, including the traditional markets of Australia, France, Germany, United Kingdom and the United States. It's also active in the emerging markets of Brazil, China, India, South Korea, Japan and Mexico. The CTC has offices in only five of the international markets - the U.K., Mexico, Japan, China and South Korea - and contracts sales agents in the other countries. In 2011, the CTC, after a business model shift, closed five international offices and moved to a regional hub structure to save cash. The Vancouver-based Canadian Tourism Commission is still determining what the latest funding cuts will mean to its operations, but the agency will have to reduce programming in some of its priority markets, said CTC spokesman Quinn Newcomb. "Realistically, it will require reduction to some program investments in the marketplace," he said Thursday, noting the agency expects to know by July how the changes will affect its activities. "We need to maintain a certain competitive level of investment against our competitors in those markets," Newcomb added. "With less money, we're going to be looking and seeing what makes sense in the marketplace, which markets are where we get the highest return on investment - as always."